A school and summer service favorite! Decorate with markers, sequins, glitter and more. Measures approx. 12" x 14". Personalize it and pack it up! 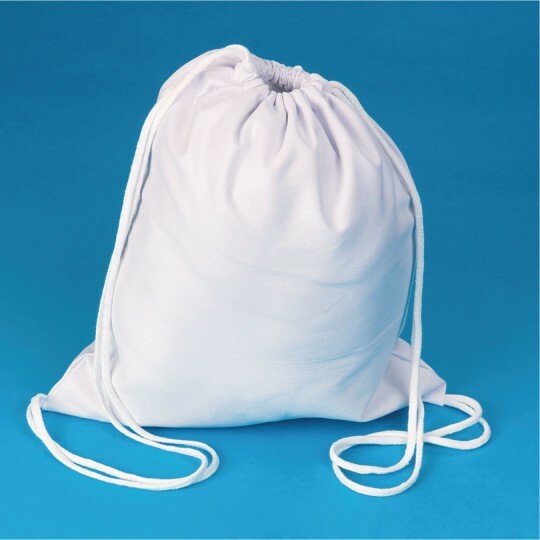 This super value lightweight drawstring bag makes a terrific tote for all your stuff. Embellish with paint, fabric markers, sequins, glitter and more! (sold separately). Water-based paint and markers not recommended. 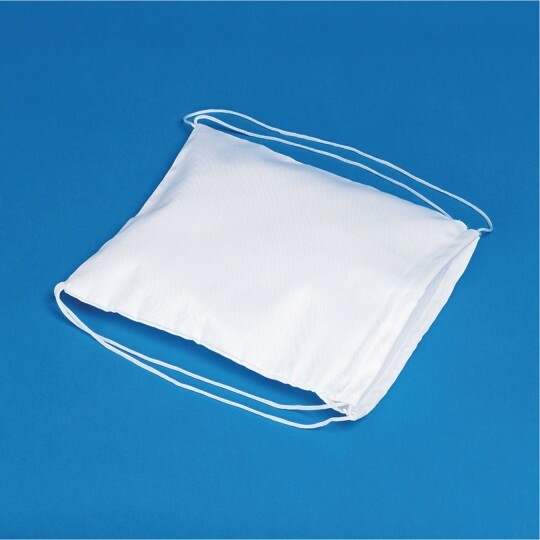 You can use it as a lunch sack, beach bag and more. WOW -- 12 great pieces for one low price! 12" x 14". The children from VBS had a great time decorating their bags. They are using them to put their VBS goodies into them. 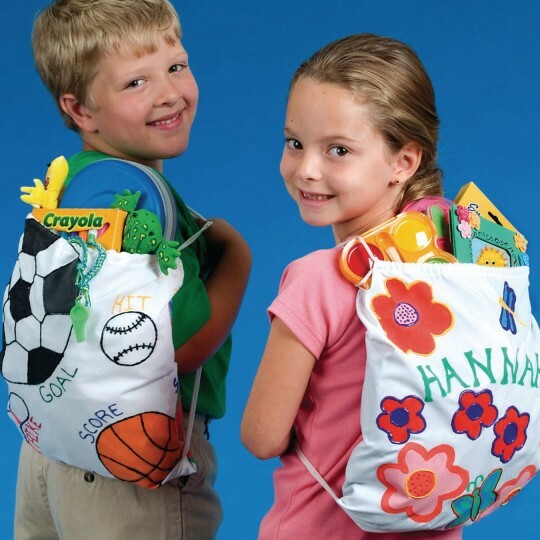 These were PERFECT for my preschool campers! 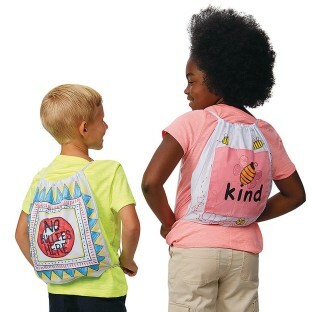 These backpacks were given to students in a summer reading program. Each one turned into a unique and personalized work of art. The students were so proud of their backpacks. It was amazing to see such a wide range of designs. Suitable for elementary school aged students. This was a blank canvas that was decorated differently by each age group that worked on them. We had a few handles to away from stitching when we washed them to accept iron ons. They were great for using permanent markers stencils acrylic paints and fabric markers. 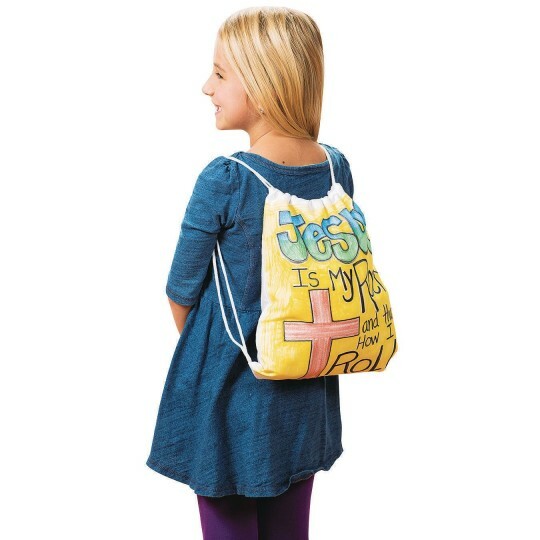 My Sunday School class is decorating the backpacks for children in Nicaragua. They are perfect!